A huge selection of commercial electric fly killers are available here online. Some models of fly zappers offer contemporary aesthetic combined with high specification features, creating a stylish killing grid range ideal for commercial environments. These modern fly zappers makes the units ideal for customer-facing areas. All of our industrial fly killers range also includes fly boxes for use in professional kitchens provide ease of service for the user. We offer our electric insect killers in different models to suit a variety of pest control requirements. Here at Pattersons Cleaning Equipment we pride ourselves on our huge range of commercial electric fly killers. To see our range of fly and bug sprays visit the cleaning equipment section of our cleaning supplies website. PlusZap Fly Killer - 2x15kW. Replacement Lynx Tubes for Flypod. 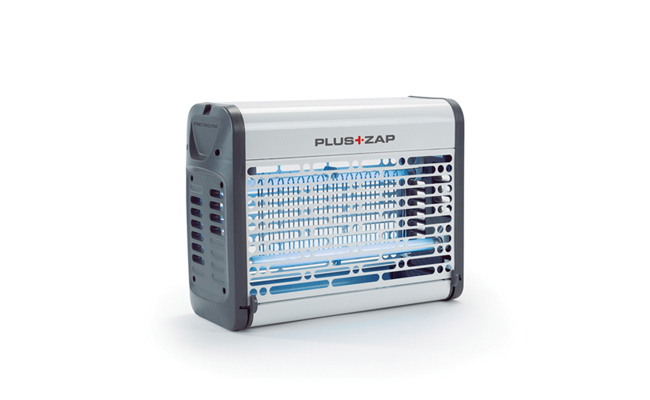 PlusZap Fly Killer - 16W.